← Did You Know by Kenny Offenther and Stan McCormack?? Promoting Shuffleboard in Europe!! Norwich Open II and Vienna Open!! Jim Allen Speaks: Just wanted to fill you in on a great promotion of shuffleboard in Europe that happens next month. Lesley and Peter Davis on the left. Shuffleboard in Austria on the right. In 2015 a group of shufflers traveled to the UK and helped to jump start the newly formed UK Shuffleboard Association with a tournament called the Norwich Open. Since those coming from Canada and the USA were seasoned players, the games were competitive but the North American players had a distinct advantage. However; several British players surprised even themselves with some stellar play! Fast forward to late last year, when Peter Davis, President of the UK Shuffleboard Association called and said his players were getting better each month, and they wanted to test their skills against the North American players to see how well they had progressed over the past 3 years. Peter also got in touch with Hallvard Flatland and the Norwegian team, as they too wanted to play in the UK and test their skills. When we asked those who had traveled to the UK in 2015, if anyone would be interested in returning, we were pleasantly surprised to hear how many had kept in touch with the British players via emails and Facebook! With the newly formed Austrian Shuffleboard Association it seemed logical that while our group was in the UK, perhaps we could assist in promoting shuffleboard in Austria as well. 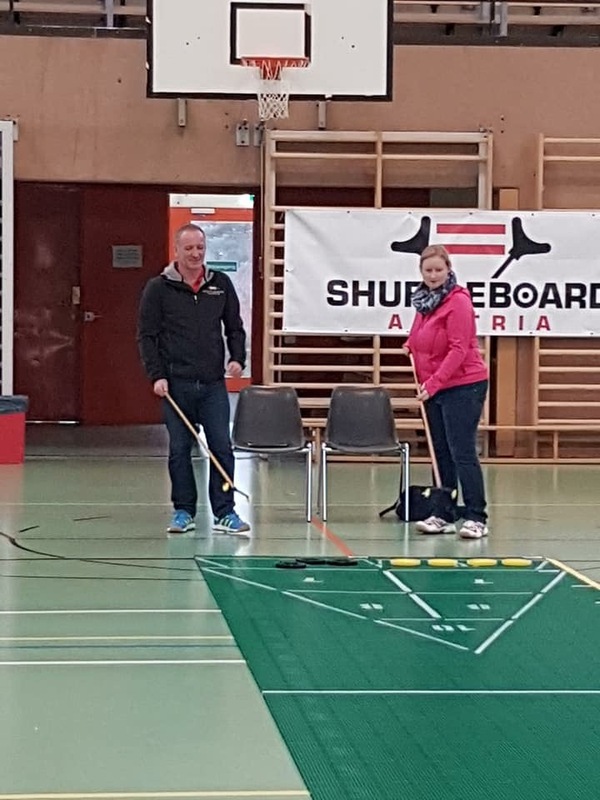 Spearheading this event was Dieter and Birgitt Hussmann, as well as the President of the Austrian Shuffleboard Association Peter Krappel, and their efforts have resulted in a 2 day singles tournament called the Vienna Open. Many of the German players will travel for this event, as well as our North American group flying in after the Norwich Open II Tournament, and of course the new players from the Austria Shuffleboard Association. Watch The Shuffler to be kept informed during the Norwich Open II, and the Vienna Open!!! We will have “On Site” Reporters sending both articles and pix!! If you would like to review the many articles posted re the Norwich Open, ENTER “Norwich Open” into the small rectangle, top right, and hit search. 5 Responses to Promoting Shuffleboard in Europe!! Norwich Open II and Vienna Open!! Yay! Nice article Jim and thanks for putting up, Stan! We are lucky enough to be one of those couples returning to the beautiful area of Norwich to be reacquainted with the wonderful friends we met in 2015. We are very much looking forward our trip across the sea once again. Then to add to the excitement and adventure, the newest ISA country of Austria has invited us to Vienna to meet new very keen shufflers, and to enjoy their amazingly beautiful city. How much better could that be? Will try to send along pics and reports as things progress. 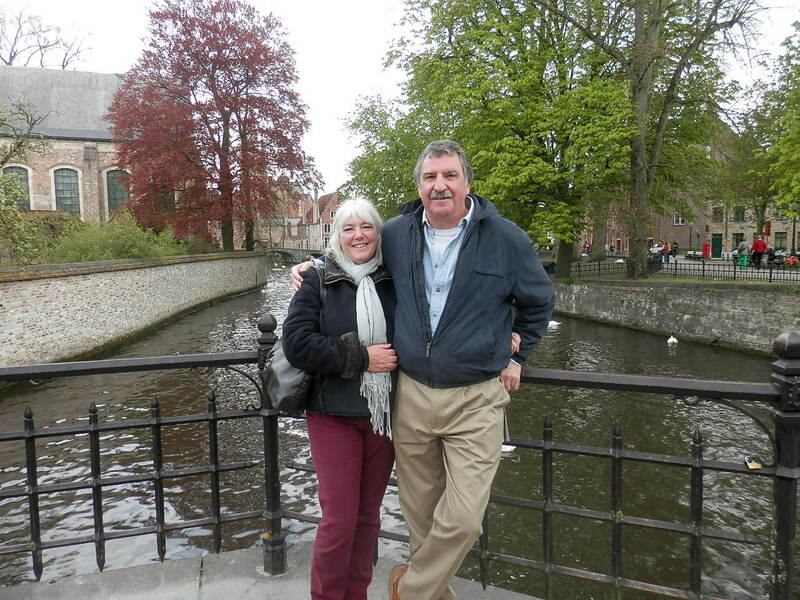 Thanks Jim and Beth for planning this trip with our friends in Europe. These “Shuffleboard” trips are amazing…….it is so hard to put into words what we have experienced on these travels. This time we will have 6 countries coming together to make more wonderful memories.